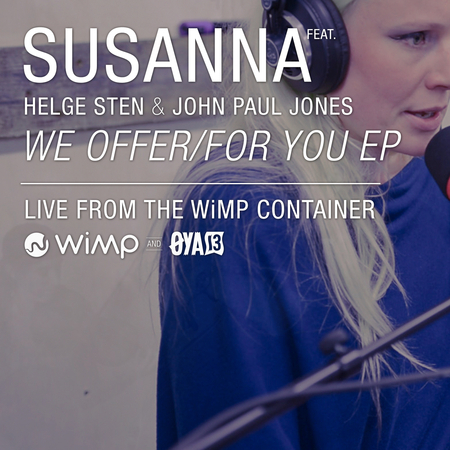 The Norwegian singer, musician and producer Susanna did a recording of a couple of her own songs together with Helge Sten and John Paul Jones for the Norwegian streaming service WiMP at the Oyafestival in Oslo in August 2013. The two songs will be available exclusively in WiMP for six months, before the release on most services- but Susanna and WiMP share the video from the recording of ‘We Offer’, to be found on YouTube. “The recording session is a great opportunity to get together and play, a place for new collaborations” Susanna says. Helge Sten is a long time partner in music for Susanna, in recording and producing music- but also live, Helge plays in Susanna’s trio. Susanna played with the legendary multi-instrumentalist, composer and producer John Paul Jones, known from Led Zeppelin, earlier in 2013- at an in-store concert in Bergen, Norway. The WiMP recording session seemed like a good way to get to play together again. Piano, acoustic guitar and mandolin makes a warm and sparse instrumentation for Susanna’s songs and voice. The songs recorded was originally released on the “Sonata Mix Dwarf Cosmos” album in 2007.